In a recent U.S. Tax Court case, my client had signed a separation agreement that said certain payments by her husband would be treated as alimony. However, she did not report any of the payments as income and the IRS was coming after her for taxes for several years. The agreement provided that the husband would keep the marital residence and buy the wife a new house. The husband paid the mortgage on the new house. The mortgage payments were characterized as support and alimony. I argued that these payments did not meet the tests for alimony set forth in IRS Code Section 71. 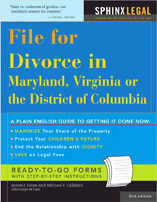 Alimony must terminate on death of either party or remarriage of the payee. Since the agreement was binding on the heirs, and it said in no event would the wife have to pay the mortgage, the husband’s obligation to pay the mortgage would survive his death or the wife’s death. And the wife had remarried twice already, but the husband continued to pay the mortgage. The IRS argued that the parties’ agreement said it was alimony, but the Tax Court has ruled in the past that it does not matter how the parties have characterized the payment in the agreement — the statute controls as to whether it is alimony or not. Don’t feel too bad for the IRS though. They can still go after the husband for the tax. The reason for Section 71 is to prevent high income tax payers from turning a tax free property settlement into deductible alimony.